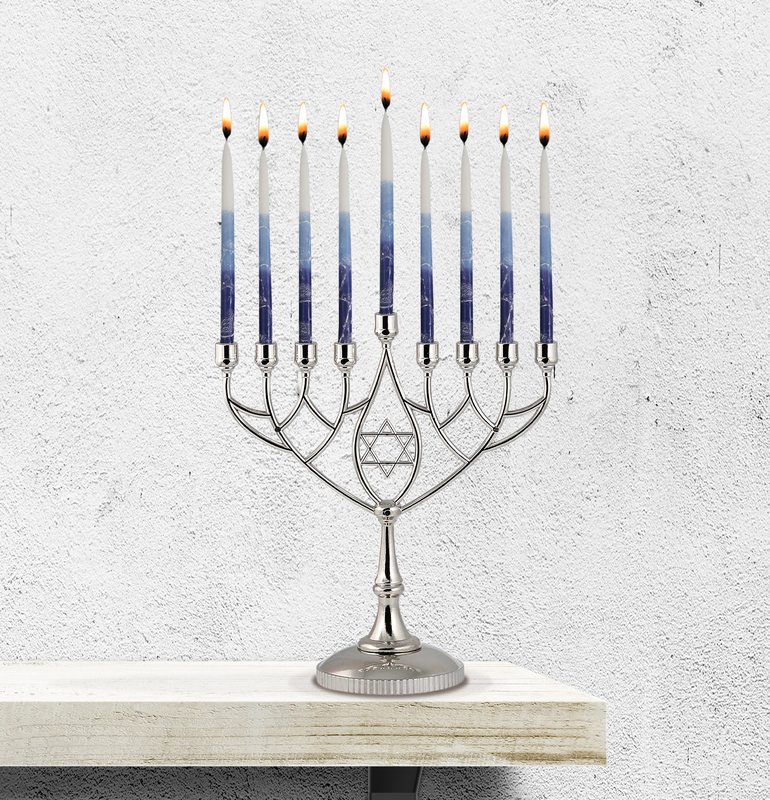 The best-selling silverplated Geometric style Candle Menorah. A traditional simple structure with yet plenty chick and sophistication. A perfect size and style for all ages.